After having been called hysterical, she would take walks with her father in the hope that he would help her perceived ailment. She also dove deeper into her work. She worked as an assistant at a school and brought with her a new approach to psychology: she got down to their level and engaged with them in play. It is through these means that he made claims about his daughter and her sexual desires, which he eventually turned into a paper. Anna later sat in the audience as her father read that paper to the public. Though he did not share her name with the audience, he did make it clear that he thought it unlikely that her case would end well, and it was unlikely she would ever be able to reach “sexual normalcy”. This finally ended Anna's sessions with her father. Hurt and betrayed, she focused even more on her work. Her father, on the other hand, began to focus on his older daughter who died shortly after. With one daughter refusing to let him dissect her and the other dying, Freud followed Anna's lead and threw himself into work, dreaming up new theories and digging for anything that might prop them up. Using her experience, Anna found work with Seigfried Bernfeld at a home for Polish children orphaned by war. She began to psychoanalyze the children, and this became her first proper step into the world of psychology. She was fascinated, but her own experiences made her cautious. It was expected that she would eventually present a paper on her findings to the larger psychology community. When given the opportunity, she refused to present information on any of the children she had looked after. Instead, she presented a paper on herself, omitting her name and coming to a very different conclusion than her father had years earlier. Shortly after, she met Eva Rosenfeld, a foster mother who took in one of the children that Anna assisted. Upon their meeting, Anna offered to stay and help with children, including through psychoanalysis. The two began an affair and eventually fell in love. Anna's father successfully ended the relationship when he began analyzing Eva and convinced her she was a heterosexual woman who needed to go back to her husband. This was not his first attempt in the realm of conversion therapy. Anna's mother was said to be in a long term relationship with a woman before meeting Sigmund; when the relationship ended poorly, he sent hundreds of letters convincing her of her heterosexuality and love for him. Anna was not free from this treatment, but she was able to escape her father's influences and found herself in a relationship with a woman named Dorothy Burlingham. Dorothy had been forced to flee America with her four children in order to escape an abusive husband. When she arrived in Austria, she went to the Freud family for shelter and support. After much time, Anna essentially became a co-parent to Dorothy's children. She and Dorothy stayed together until Dorothy's death in 1979. Before then, there were other things on the horizon. World War II was approaching and the Freud family grew anxious as the Nazi's gained power. The family was targeted for being Jewish, and Freud's controversial theories led to his book's being burned. It was Princess Marie Bonaparte that came to the families rescue. Marie was another queer woman who actively disagreed with many of Sigmund’s beliefs, but she helped the family escape Vienna. She moved them to England, where Anna began the next step in her career. After the war ended, she and Dorothy opened the Hampstead War Nursery for children who had lost their parents or had otherwise been displaced by the war. It was through her work at the nursery that she took her characteristic hands-on approach, interacting and playing with the children while she studied them, learning more about the effects of stress and instability on children's mental wellbeing. 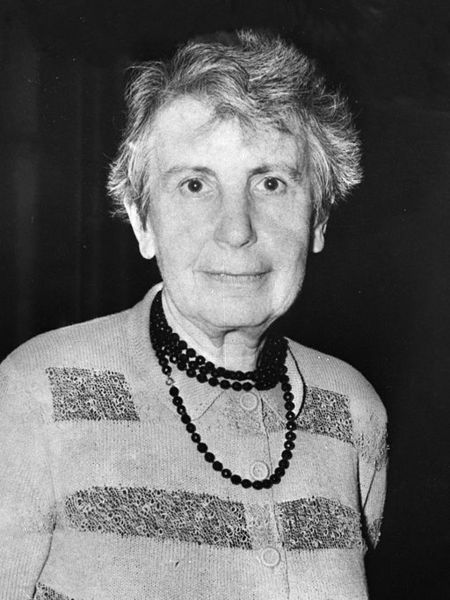 Anna Freud began giving lectures on child psychology in London. In 1973, she was elected President of the International Association of Psychoanalysts. Even after everything, she still loved her father. She nursed him when he became sick and often wrote fondly of him. This cannot excuse anything Sigmund Freud did, especially to his daughters, but it does give more depth of understanding to her choices. When she died in in 1982 her ashes were placed next to Dorothy’s and her home was turned into a Freud museum according to her wishes. While she loved her father, she was not him. She respected and admired him until the moment she died, but she was still a person outside of him, and even often in defiance of him. “Adoption History: Anna Freud.” The Adoption History Project, University of Oregon, 2012, pages.uoregon.edu/adoption/people/AnnaFreud.htm. “Anna Freud and Child Psychoanalysis.” Freud Museum London, www.freud.org.uk/learn/discover-anna-freud/anna-freud-life-and-work/child-psychoanalysis/. Babits, Marty. “Remember Anna Freud?” Psychology Today, Sussex Publishers, 2017, www.psychologytoday.com/us/blog/the-middle-ground/201705/remember-anna-freud. Perry, Susan K. “Anna Freud's Astounding Story.” Psychology Today, Sussex Publishers, 2014, www.psychologytoday.com/ca/blog/creating-in-flow/201406/anna-freud-s-astounding-story. Sandler, Anne Marie. “Anna Freud.” Institute of Psychoanalysis, 2015, www.psychoanalysis.org.uk/our-authors-and-theorists/anna-freud.